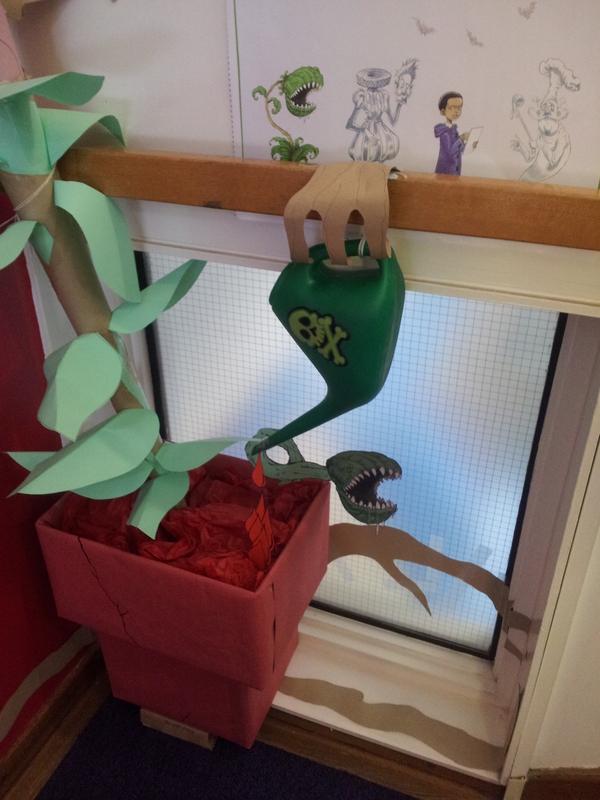 as well as malevolent plant life that feeds itself for displays around this year’s Summer Reading event. Aimed at encouraging people of all ages to read more, the event runs over the summer in every library in the UK. This year, the theme is The Creepy House – hence the monstrous guardians now menacing all visitors to my workplace. So far, its mostly been adults who have been bemused by the displays. The youngsters love them. I’ve been proudly using this to underline that a childhood spent peering round the sofa at Dr Who episodes has done me no harm, so why not allow the current batch of kids to have a controlled dose of healthy scares too? The scheme starts this Saturday 13th July. My, summer already? You’ll be telling me there’s sunshine out there next..! 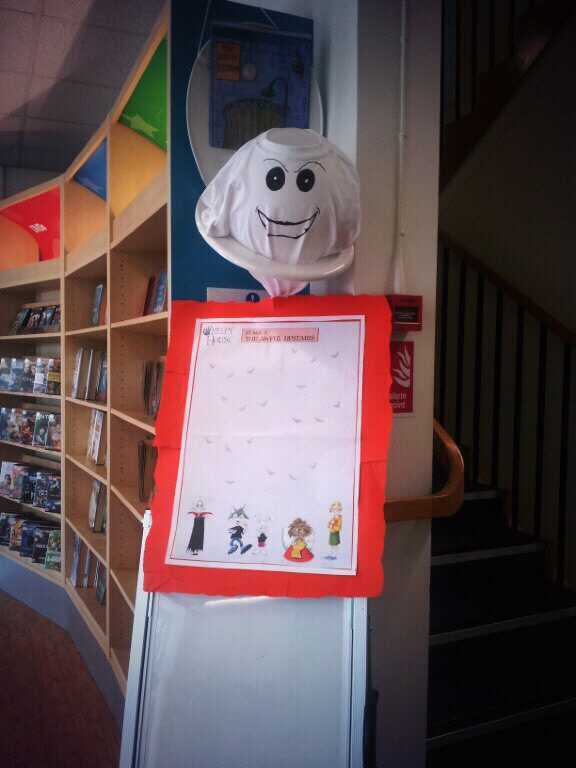 This entry was posted in events, work and tagged craft, Creepy House, displays, library, Summer Read, work. Bookmark the permalink.